NEW! C.U.T. 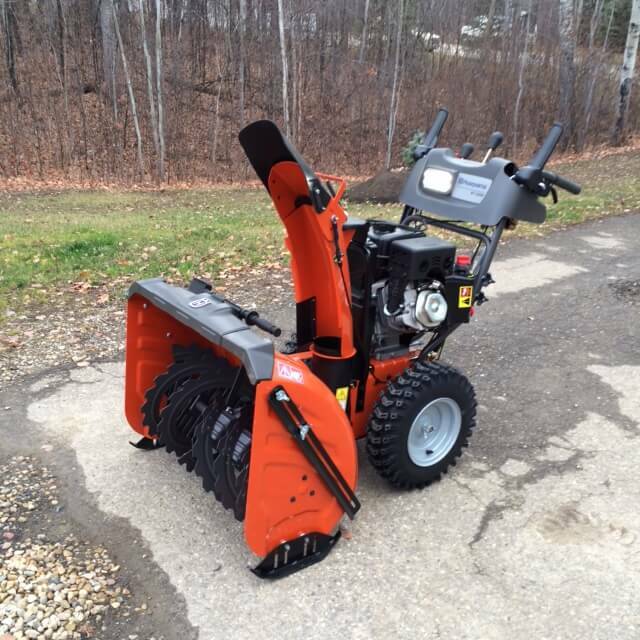 Series – Skids for Kubota, Woods, and Other Industrial and Municipal Snow Removal! To find out more, go to the order page and scroll down to C.U.T. Series Skids. NEW PUSHER SERIES - Coming in the fall of 2018! 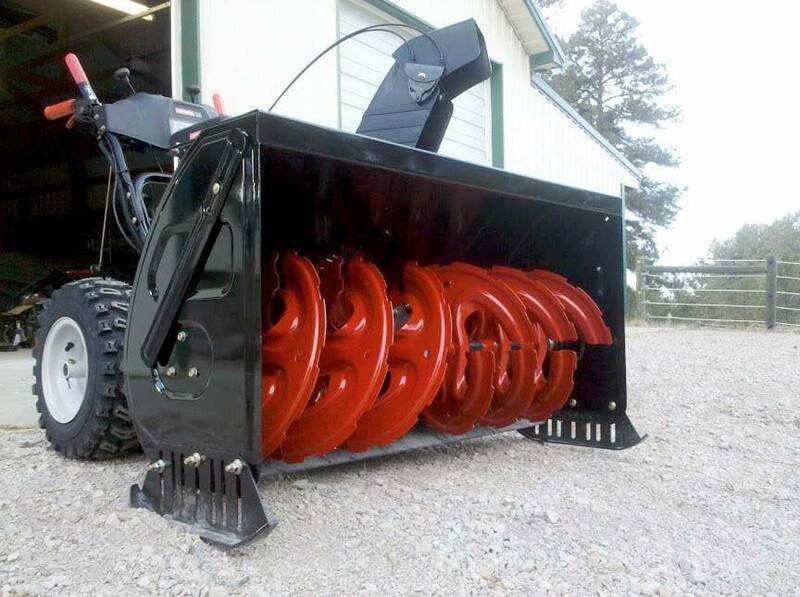 30″+ designed for box plows and pushers, mounted on bobcats. Snowblower Skids for Home and Professional Use. We have several sizes that will fit most snowblowers! Our ASE skids are designed for home use. They are perfect for gravel drives or uneven sidewalks. 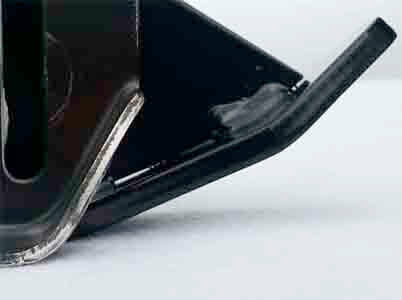 If you use your snowblower on a professional level, most of the day, then consider our Pro series snowblower skids. Just go to the order page to find out more. New C.U.T. Series, for Compact Utility Tractors and Hydraulic/PTO Driven Blowers. C.U.T. Series on a New Holland Skidsteer, with an 800 lb. snowblower, clearing snow in Minnesota. He handled 12 inches of snow today using the new skids, and they worked great! He’s using the wide tip forward to get the best float over the rough gravel and terrain. ARMORskids® for snowblowers, now feature two different tips! 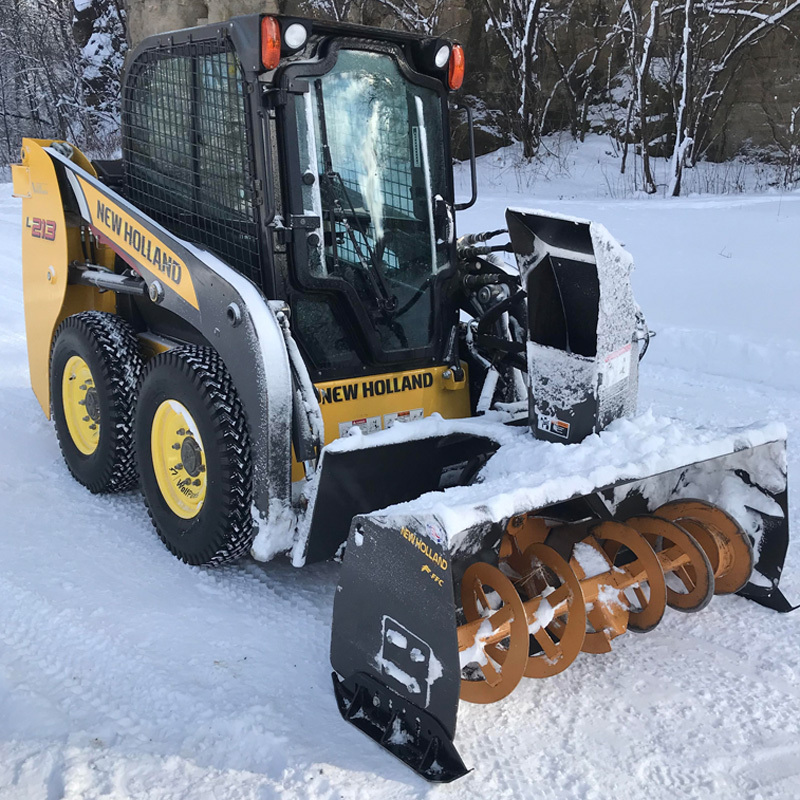 The all new narrow tip cuts through snow while providing the patented smooth ride over cracked sidewalks, ruts, and bumps. Perfect for concrete and asphalt, the narrow nose penetrates snow and works fantastic on lighter machines. When mounted with the wide tips forward, the skids provide maximum float over loose gravel, dirt, and grass. The Dual tip design gives you the ability to customize your machine’s performance. Watch the video on the right to see our new design up close. Nothing is more frustrating than your snow blower hitting every crack in the sidewalk. If you’re tired of your snowblower banging into each uneven section of sidewalk, you need ARMORskids®. Our heavy-duty replacement skid shoes allow you to avoid damage and keep smooth control over cracks, gravel, and other uneven surfaces. More customer images. Click on any image below for a higher resolution photograph. “Just installed my new pair on my Ariens 24” snowblower. It couldn’t have been easier. It took only 15 minutes and that included getting my tools and light. CAD DESIGN CNC-CUT FOR INCREDIBLE ACCURACY AND FIT. Designed Specifically for Cracked, Uneven Pavement and gravel. CAD Designed and real-world tested. CNC Cut: All parts are CNC cut for incredible accuracy and fit. Powder-Coated for the strongest corrosion resistance possible. Narrow-Nose Design allows curbs, chain-link fences to smoothly slide by. Stock Skids: Standard skids are designed for absolute lowest cost. They are stamped out of very thin metal, the whole skid is less than 5 inches in length. 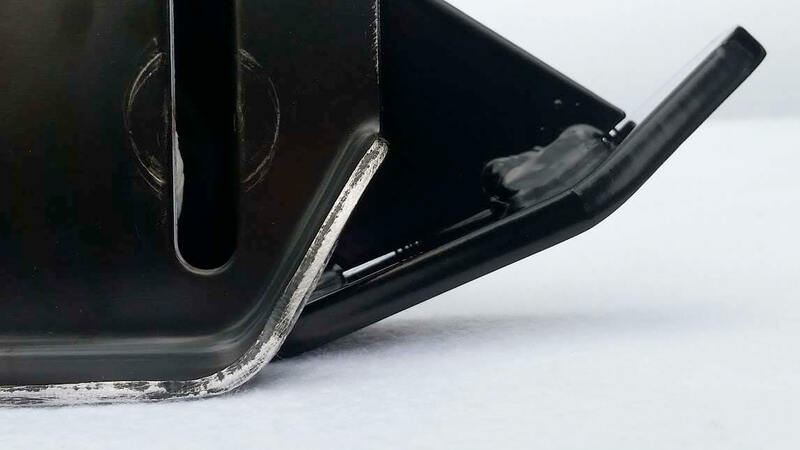 The short length of the snowblower shoe forces them to have a very steep angle to the leading edge. This makes for a harsh upward jolt every time a bump is encountered. Attempting to use them on uneven sidewalks and driveways makes for a rough ride which can quickly cause damage to the snowblower. Superior Design of Heavy-Duty Skid Shoe: These replacement snowblower shoes are laser cut from 1/4 thick steel plate, more than twice as thick as the stock skids. They are wider and more than twice as long as the original skid. The steel is much better at taking a beating than the unknown recycled “metal” of the stock skids. You may have bent your stock skids, but you’re NOT going to bend these. 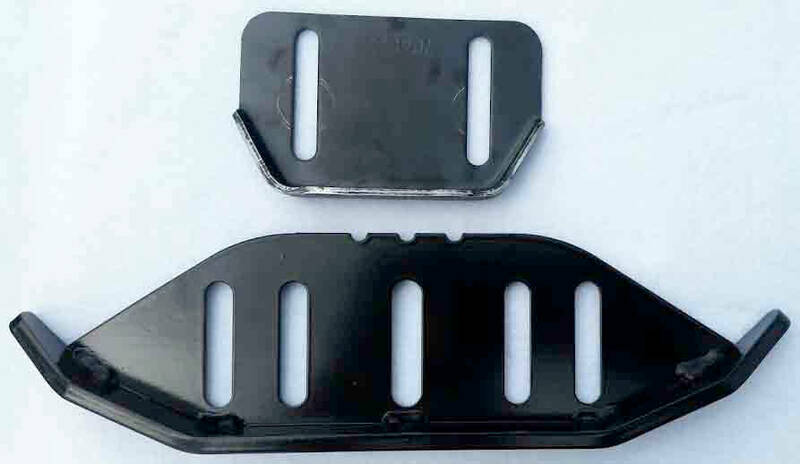 By Designing our skid shoes over 12 inches long, the skid angle is less than half that of the original skid. 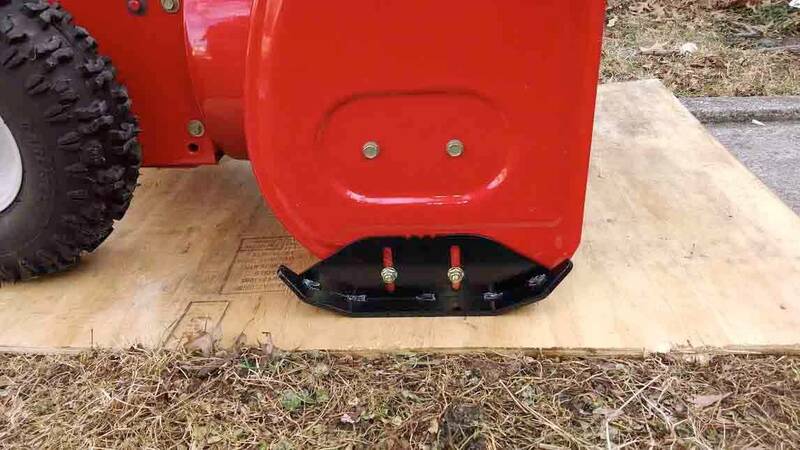 For every bump the skid encounters, it has more than twice the distance to lift the snowblower up, compared to a stock skid shoe. Our skid is designed to handle bumps up to almost 2 inches—try doing that with a stock skid! Superior Materials: Low cost was the driving force behind the design of your stock skid. We laser-cut our skid runners out of full sheets of Hot-Rolled A-36 American Made 1/4” Steel plate. A-36 steel is well known for it’s strength, ductility, and weldability. Its the same steel spec’d for I-beams in high-rise buildings. Our mounting plates are cut out of A36 steel, 1/8” thick. 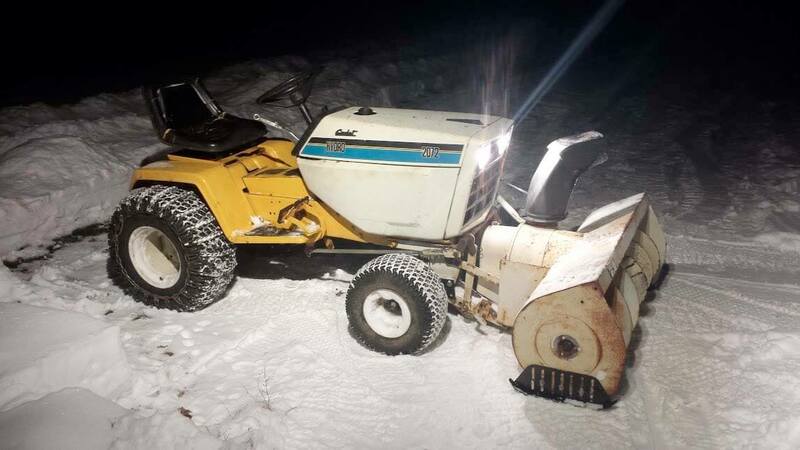 Gravel is brutal on snowblowers. Stock skids dig into gravel, leave ruts, and bend when they encounter frozen rocks. Armorskids® are wider, and much longer than the typical stock skid. Over 12 inches long, and over an inch wide, these skids provide over 5 times more “float”, exactly what is needed for gravel driveways. It’s patented low-rise design allows a smooth lift over uneven concrete, cracks, and holes. 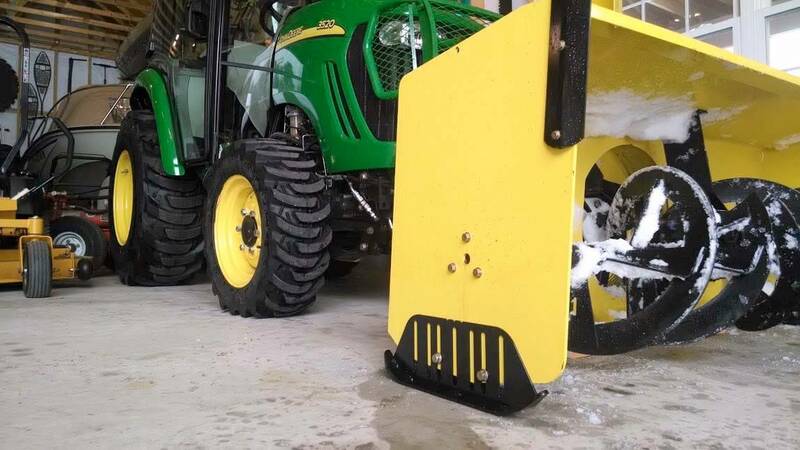 For every bump the skid encounters, it has more than twice the distance to lift the snowblower up, compared to a stock skid. Fit and Finish: Fully CAD designed, our skids are all CNC cut for exact fit and powder-coated to provide the ultimate in protection against corrosion. Please share us on Social Media. Simply click any of the icons floating on the left to share this site with your friends. Are you looking for a present for the man or woman who has everything? Order a set of skids, they will love you for it! It’s a perfect Christmas gift or birthday present. Snow thrower skids are also called, snow blower shoes, snowblower-feet and snow blower skid plates. Snowblower parts is our main focus. Some people have asked if these are handmade skids? Well, not really. These are made from American Steel, so it would be very difficult to cut and shape raw steel. 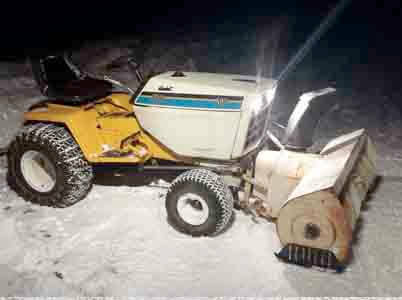 At this time, we only offer snowthrower skids.